German Chancellor Angela Merkel has urged Israel to accept the 2015 nuclear deal signed between Iran and world powers as she notes that the deal is imperfect but better than nothing. Speaking to Israeli TV Channel 10 Sunday, the German leader vowed that Germany will however watch very closely to ensure the deal is being implemented. “Prime Minister Netanyahu believes that the nuclear deal with Iran does not provide the security Israel desires. We believe it’s better to have this agreement, even if it is not perfect, than to have no agreement. 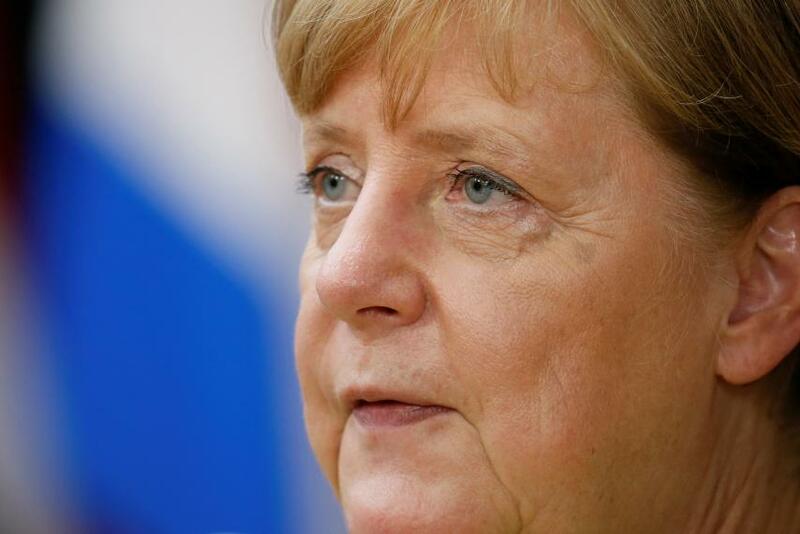 We will continue to discuss this, but Germany will watch very closely to ensure that this agreement will be fulfilled,” Chancellor Merkel was quoted by Associated Press as saying. The historical deal, which curbs Iran’s nuclear program and allows the Islamic Republic to recover its frozen billions of dollars, is being seriously threatened as President Donald Trump pushes his European allies to reconsider the deal by fixing what he termed “disastrous flaws” or face US withdrawal. President Trump, a serious opponent to the deal, has voiced desire to pull out of what he called “bad deal”. The Trump administration could kill the deal mid next month; time to certify the deal again. Israeli Prime Minister has been pushing for the US withdrawal from the deal, which he believes let Iran out of the cage. Merkel and French President Emmanuel Macron, another champion of the deal are due to meet with Trump this week at the White House in a move to convince the US to comply with the agreement. The German iron woman said European allies disagree with the US on how “we can best contain the deal”. Iran Saturday said efforts by France and Germany to convince Trump would be futile. Iranian foreign minister Mohammad Javad Zarif told reporters that the US is to blame as he accused Washington of failing to implement the deal. “The United States has not only failed to implement its side (of the deal), but is even asking for more,” said Zarif in New York. Written by: Jaber Ali on April 23, 2018. Posted by Jaber Ali on Apr 23 2018. Filed under Headlines, World News. You can follow any responses to this entry through the RSS 2.0. Both comments and pings are currently closed.